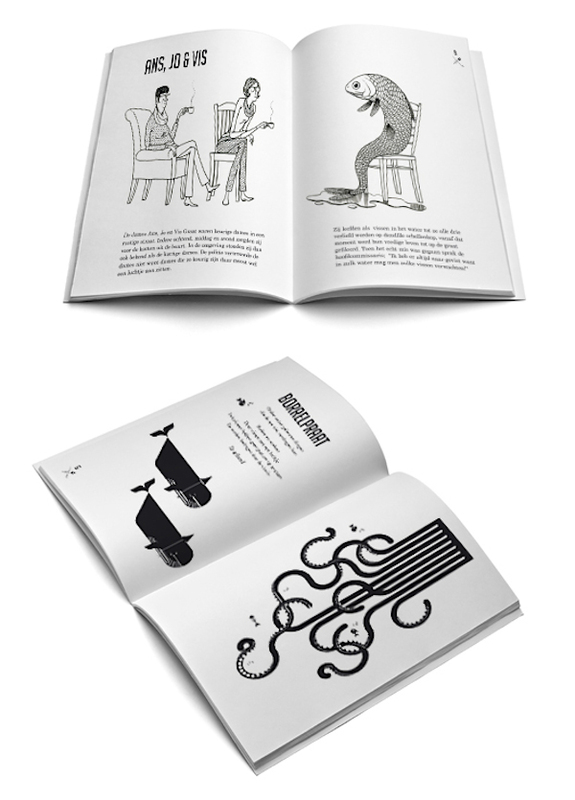 Dutch design studio Today Designers used squid ink to specially print a book. 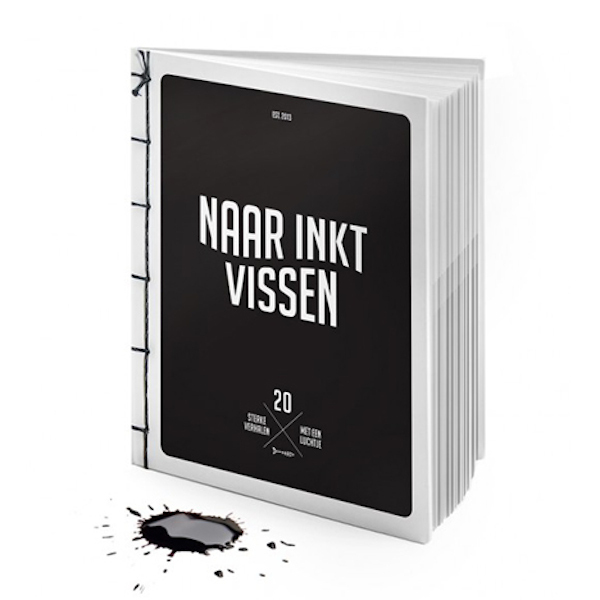 The 48-page book, entitled ‘Naar Inkt Vissen’ (which translates to ‘Fishing For Ink’), is about nautical tales and is accompanied with pictures from various illustrators. Thus, using one-and-a-half liters of the dark pigment from the sea to screen-print 700 of these books was in line with its theme. 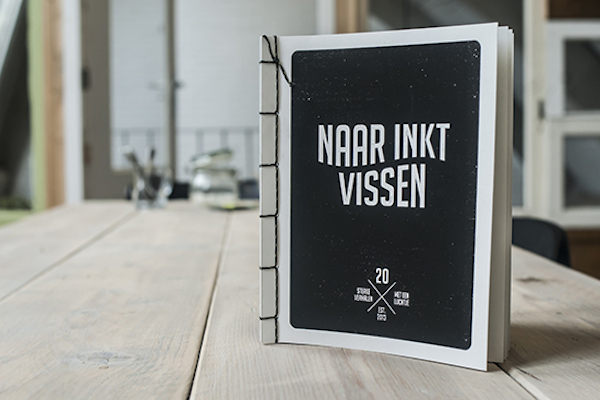 On top of using squid ink, ‘Naar Inkt Vissen’ was also bound using Japanese stab-binding technique—with fishing wire purposefully used to complete its look. The downside is that the book smells fishy, literally: “It smells, stinks and reeks. We are talking about a penetrating fishy smell here, caused by the squid ink with which the book is printed in,” designers told Dezeen. 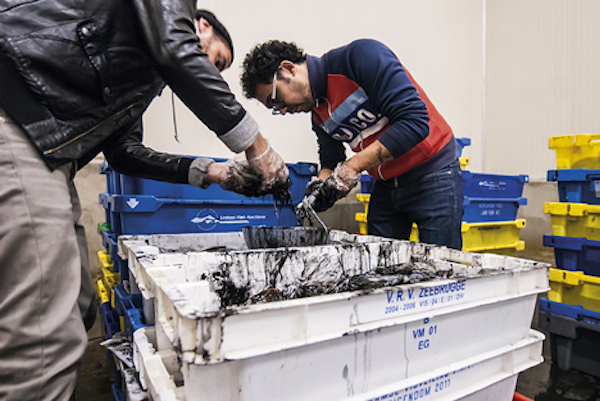 The seafood-printed book shows that squid ink also has its practical uses besides being eaten. It could also serve as a new eco-friendly way to print on paper—which could lessen how much we spend on printer ink—we just have to find a way to deal with the smell.